When the chancellor delivers his pre-Budget report to parliament on Tuesday, he is likely to argue that the UK is on track to post the strongest growth out of all the G7 nations in 2007. But Alistair Darling will not be able to bask in the glow of a healthy economy for long if forecasts for 2008 prove correct. In recent weeks, economists have slashed their predictions for next year's GDP growth rates. They fear growth will slow as this summer's credit crunch filters through to the wider economy, and this year's interest rate rises begin to bite. Slower growth could result in higher unemployment and lower tax revenues that would squeeze government spending on key services such as health. A slowdown in the United States, the world's largest economy, is also likely to dampen UK growth next year. Already the chancellor has said that the global credit squeeze will affect the UK and hinted that he may have to cut official growth forecasts. The Treasury expects the economy to notch up growth of between 2.75% and 3.25% for 2007. That's in line with City forecasters. But its 2008 forecast of between 2.5% and 3.0% is looking increasingly optimistic. In September, investment banks and research houses were forecasting GDP growth of 2.2%. But in recent weeks, economists at Barclays, Lehman Brothers, HSBC and other institutions have shaved up to half a percentage point off their forecasts. The lowest forecast suggests that growth could be half of what the government is predicting. 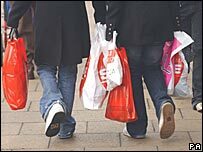 "We expect a slowdown in consumer spending to impact growth," says Karen Ward, an economist at HSBC. "Mortgage rates are creeping up and there's a significant chance house prices will fall." Lower official growth forecasts may have been one of the factors that persuaded the prime minister not to call a snap election. They would have put government borrowing targets under more pressure and tied ministers' hands over vote-winning give-aways. The government had predicted that the budget, currently in deficit, would return to a surplus over the next few years. "It doesn't help if you admit things look dismal so I'll think he'll strike an optimistic tone even if he lowers the growth profile," says Ms Ward. Mr Darling is expected to pledge funds for the NHS in the Comprehensive Spending Review that will be unveiled at the same time as the pre-Budget report. With its dependence on property, high finance and consumer debt, the UK economy is looking more vulnerable than most to the credit crunch. For Northern Rock it proved to be disastrous. The Bank of England has already said that corporate lending rates have begun to creep up. This will affect business spending and investment. More crucial will be the impact of the credit crunch on the UK consumer, whose debt-fuelled spending is the key motor of UK growth. 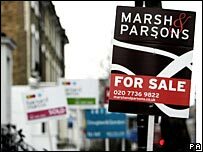 Some economists believe that stiff competition in the UK mortgage market will mean that banks shield consumers from tougher lending conditions. Others say that mortgage lending rates will rise - deterring home buyers and cooling the housing market. The number of new mortgages being approved for house buying, a reliable leading indicator of market activity, were 9% lower in August than in the same month a year ago. And mortgage lender Halifax said house prices fell 0.6% last month, the first month-on-month decline since December. "It's a consensus view that the economy will weaken next year," says Peter Newland, UK economist at Lehman Brothers.